The Whitworth Institute of Ministry will present its 38th annual program for pastors and their families July 8-12. This year’s theme, “For Such a Time as This: Ancient Christian Wisdom for Postmodern Times,” will focus on current transitions in the life of the church. 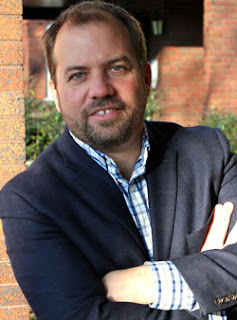 WIM will take place on the Whitworth campus and will feature speakers James K.A. Smith, professor of philosophy at Calvin College (Mich.); Carolyn Gordon, associate professor of communication in the School of Theology at Fuller Theological Seminary (Calf. ); and Whitworth theology professors Jerry Sittser, Karen Petersen Finch and James Edwards, ’67. The public is invited to attend the institute’s worship services Monday-Thursday at 7 p.m. in Seeley Mudd Chapel. Admission to the services is free. Pre-registration and payment are required for those who wish to participate in other WIM programming, including Bible hours, convocation hour, and afternoon workshops. For complete WIM details, a schedule of events, and to register, please visit www.whitworth.edu/wim, call (509) 777-4345, or e-mail wim@whitworth.edu. Smith is the author and co-author of more than 16 books and numerous articles. During WIM he will talk from his “Cultural Liturgies” project, a trilogy of books that begins with Desiring the Kingdom: Worship, Worldview, and Cultural Formation (2009). The second book, Imagining the Kingdom, was published in February 2013. Smith has recently begun work on the third book. Gordon is a regular lecturer at church-related conventions and conferences. 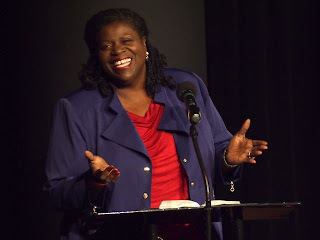 She has received numerous honors and awards, including Outstanding Black Alumni (Southwestern Baptist Theological Seminary, 2004), Outstanding Baptist Chaplain Recognition (1997, 1998), Most Supportive Faculty (Black Image Award, 1992), Woman of Color of the Year (1990), and Outstanding Young Woman of America (1983-88). Her research interests include communication theology: what God intended for the spoken word; preaching to senior adults; preaching to those with disabilities; and vocal development and the maintenance of the preaching voice. Toni Sutherland, program coordinator, chapel, Whitworth University, (509) 777-4345 or tsutherland@whitworth.edu.